The eye area is very sensitive and fragile and can easily reveal the signs of age or fatigue and may suggest sadness and tiredness in individuals. They first appear at the corner of the eye and then spread on the contour. Tear trough treatment, on, is appropriate for some patients with lower eyelid dark eye circles treatment. As we age the skin loses collagen, elastin and hyaluronic acid so it begins to appear dry, thin and becomes prone to wrinkling and sagging. 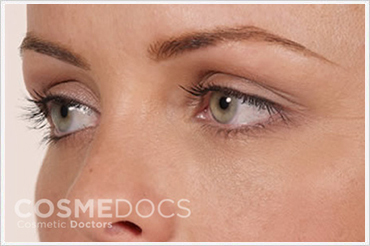 In the lower eyelid the orbital septum weakens and there is a loss of soft tissue volume in the cheek area. 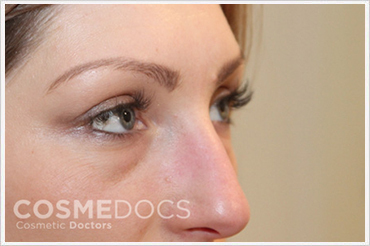 This accentuates the bony orbital margin that lies between the lower eyelid and the cheek. Additionally, this also leads to the appearance of lower eyelid fat pockets which together can lead to a ‘tear trough’ depression or dark shadow. Eye circles can have different causative factors such as fatigue, poor microcirculation, unhealthy lifestyle and hereditary. Dermal fillers such as hyaluronic acid based Redensity II, Teosyal can be used to plump the defect and are specially designed to treat the delicate and sensitive eye area. Most hyaluronic acid fillers used for this procedure last up to one year. 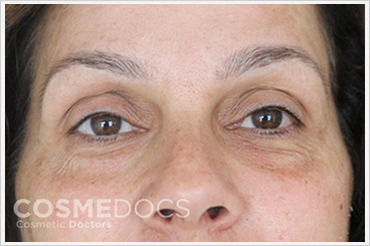 In some individuals with under eye bags this treatment would not be recommended as surgery may be a better option. The filler contains a local anaesthetic and is injected at varying depths above the bone, in some cases a cannula may be used. There may be mild discomfort, however most individuals tolerate the procedure well. Afterwards, the treated area will be gently massaged. As there is a risk of overfilling the tear trough region, most practitioners may undercorrect as a touch up treatment can always be done later if necessary. 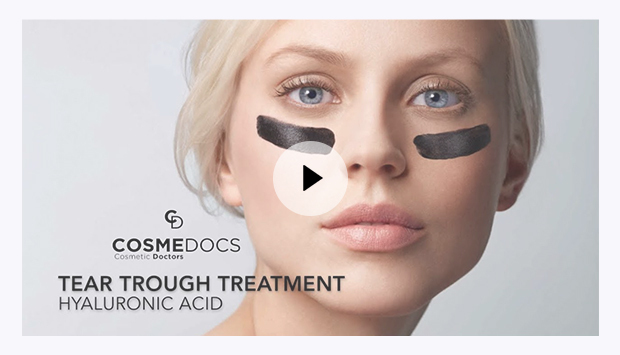 CosmeDocs exclusively provides the tear trough treatments at London Clinics where expert and professional practitioners are appointed to deal with patients. They possess vast experience and competence in the field of cosmetic surgery, to understand the different cases and deals each patient according to his/her individual needs. You can book your appointment for Tear trough treatment London at their clinics in Portsmouth, Derby, Windsor and Birmingham. Pigmentation: orange/brown following bruising and hemosiderin deposition which can take a few months to resolve. 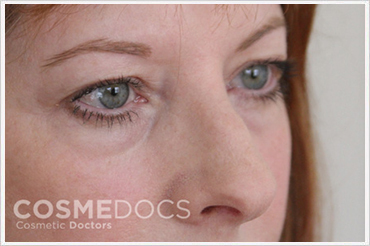 Tyndall effect – bluish discolouration from superficial injections with certain types of fillers. Nodules – may respond to massage or may need to be dissolved with Hyaluronidase. Blindness – exceptionally rare, however an embolus of filler can travel to the central retinal artery. Although results are immediate, there can be swelling, redness and bruising that can take a few days to settle before the final result is achieved. Cold compression after the procedure can help to reduce inflammation. 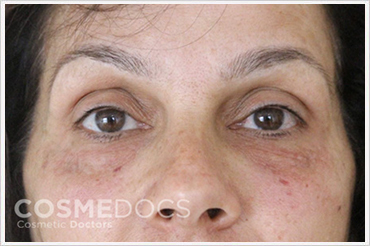 The effects of tear trough treatment can be seen in the pictures. There is a clear difference and improvement in the tear trough area after the administration of treatment. There is a marked reduction in dark eye circles before and after the treatment. It is basically a treatment which helps in improving the dark, hollow and depressed under eye area due to aging or any other reason, through the use of dermal fillers. The most commonly used fillers for this treatment are Teosyal Redensity 2 / Juvederm / Resytane which are natural fillers. These fillers fill up the under eye area and rejuvenates it. How Long Does, Tear Trough Filler Lasts? The outcomes of the tear trough treatment vary from one patient to another. However, when the treatment is conducted by experienced and professional doctors the results usually lasts for almost 9 months. In some cases the results even stay for more than a year. Do The Dermal Fillers For Tear Trough Cause Any Discomfort Or Pain? Though it is surprising that majority of the patients do not feel any kind of discomfort or pain during the under eye treatment but still a topical anesthetic cream is applied before the treatment to prevent any kind of discomfort or pain during it. What Is The Approximate Recovery Time After The Dark Eye Circles Treatment? There can be minor swelling and bruising after the treatment. But this is temporary and usually goes away within a week time. It is better that you avoid going on parties for one week after the treatment but if it is urgent you can cover it up with makeup. To minimize the swelling, it is advisable that patients should not do any kind of exercise for at least up to 24 hours after the treatment. otherwise, patients can easily continue their daily routine and tasks. 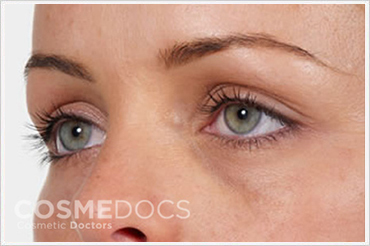 What Are The Possible Tear Trough Filler Side Effects? There are no serious side effects associated with the treatment as is the case with most of the natural dermal fillers. One of the most common side effects which is observed in patients is swelling and mild bruising. But this is also not a serious issue it vanishes in few days or in a week. It is important that patients should avoid talking any kind of medication before and immediately after the treatment which might promotes bleeding like aspirin or ibuprofen. 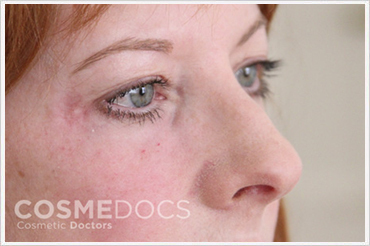 Why Choose Cosmedocs For Tear Trough Treatment London? 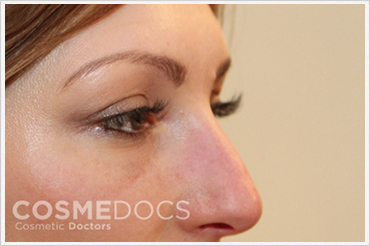 At CosmeDocs London , thousands of patients have already been treated with the different facial dermal fillers and Botox treatments. We have expert, skillful and highly professional cosmetic doctors and dermatologists which provide you with the necessary pre-consultation and have the required competence of administering different dermal filler treatments including tear trough treatment. They ensure that the patients face minimal discomfort and side effects during and after the treatment. Our treatments give exceptional results which have completely satisfied our patients and enable us to gain their trust and confidence.